BNIM principal Steve McDowell stands outside his firm's current office in the historic TWA Building at 18th and Baltimore. Developers are concerned the defeat of the BNIM proposal could mean that any project, no matter how worthwhile, may prompt a similar public campaign, noting the threshold for a successful petition is relatively low. It takes about 3,400 valid signatures to place a referendum on the ballot, 10 percent of the number of people voting in the last mayoral election. Critics say tax incentive programs have become so routinely awarded to developers that it mocks their original purpose: to alleviate blight and attract investment to impoverished areas of the city, particularly the East Side. “The vision of the Kansas City Economic Development Corp. is all development, all the time; tell us what you need and we’ll give it to you,” said R. Crosby Kemper III, executive director of the Kansas City Public Library. Kemper also is co-founder and chairman of the Show-Me Institute, a libertarian-oriented think tank that has not only been critical of the city’s tax incentive programs but its 1 percent earnings tax as well. Jennifer Wolfsie, a leader of the petition drive that derailed the BNIM plan, said she really started to worry about incentives after she saw a presentation by Patrick Tuohey, the western Missouri field manager for the Show-Me Institute. Wolfsie already had been involved in an earlier effort by Mayor Sly James to reform incentive programs introduced in October 2014. She had been asked to participate in a task force established by the city. But the mayor’s proposal to cap property tax abatements at 50 percent was opposed by the development industry and failed. Wolfsie said her dismay at the defeat of the mayor’s reform plan prompted her to continue pursuing the issue. She heard Tuohey’s presentation last fall at an Urban Summit meeting hosted by Bishop James Tindall. The regular meetings address issues confronting the urban core. Tuohey told the group the city incentive programs were costing the school district $20 million to $30 million in revenues annually, said Wolfsie, who is a Kansas City school parent. It was about the time the BNIM redevelopment proposal was being reviewed by the Kansas City Tax Increment Financing Commission, one of several city development agencies. The Vitagraph Building is one of several historic buildings redeveloped in the Crossroads Arts District by philanthropist Shirley Helzberg. 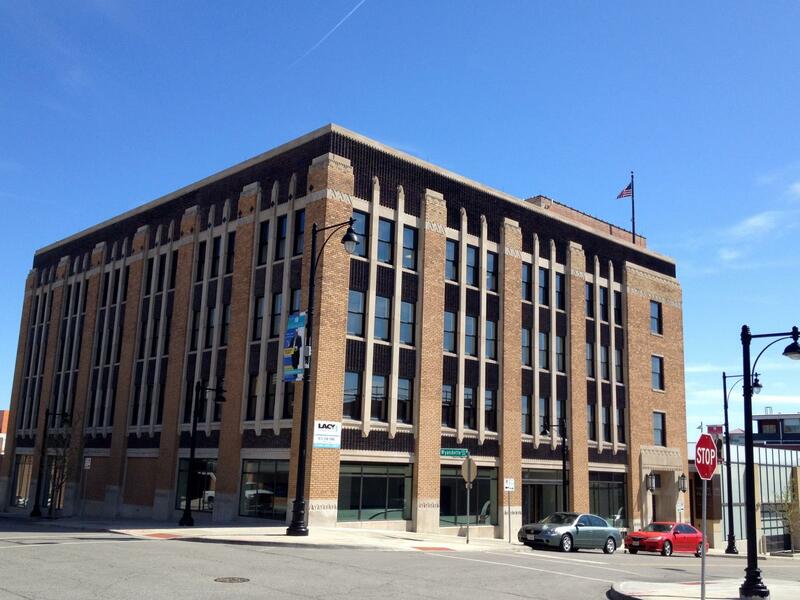 Shirley Helzberg, a wealthy philanthropist who had done previous redevelopment projects in the Crossroads Arts District area of downtown, notably the Webster House and Vitagraph Building projects, was seeking $5.2 million TIF assistance for the BNIM project. BNIM was in temporary space and searching for a permanent home where it could showcase its reputation as one of the nation’s top architecture firms, particularly in environmentally friendly design. At one of the TIF meetings, Wolfsie met Kemper. She said the library executive introduced her to the idea of pursuing a petition drive to stop the project. “He told me if the City Council passed an ordinance, a referendum and petition is the only way to repeal it,” she said. Both Kemper and Wolfsie said they were not specifically opposed to the BNIM proposal. “It happened to be the first one to catch my attention,” Wolfsie said. And it became a symbol for what they believed was wrong with the city’s approach to incentives. Still, Kemper said he regrets that the coalition came together in such a way that BNIM walked away. Developers say they can demonstrate the need for incentives by presenting facts about the market challenges confronting their projects, but are concerned opponents already have made up their minds. Steve McDowell, a principal at BNIM, said his firm had believed its project was on the right track and had reached agreements with the school district and other groups when it got caught up in the bigger controversy over city incentive policy. McDowell said misleading criticism posted on social media and shared during the petition drive that Helzberg was taking $5 million from inner city schools and pocketing the money also stung. City officials believe a chronic misunderstanding of how incentive programs work is fueling the dissent among some residents. That’s not how the programs work, said Bob Langenkamp, executive director of the Kansas City Economic Development Corp., the umbrella development agency for the city. 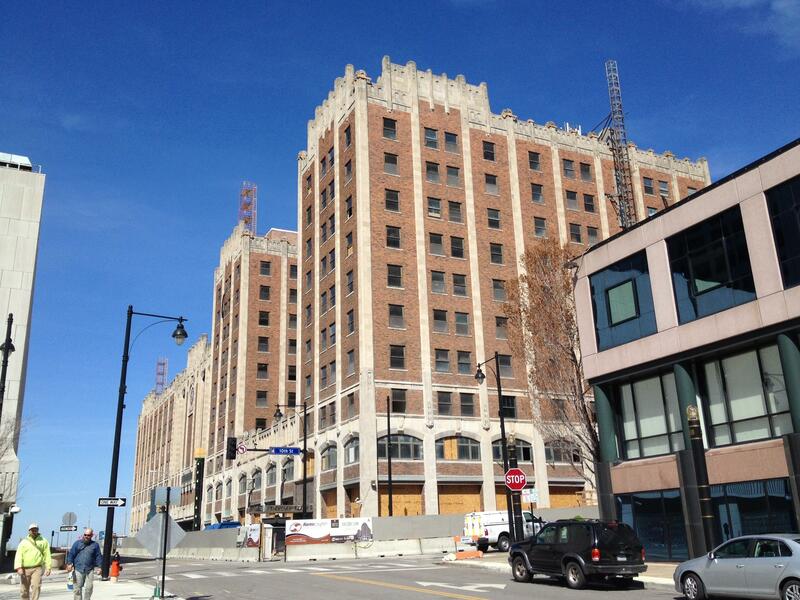 The historic Pickwick complex at 10th and McGee is being redeveloped as apartments with the help of tax incentives. All the new or incremental property tax revenues are then returned to the developer to help pay for the allowable costs of the project. TIF programs also allow developers to keep 50 percent of the additional economic activity taxes generated by the project such as sales tax revenues. A TIF plan can last up to 23 years. The other major incentive program, property tax abatements, also freezes the existing property tax revenues received by taxing jurisdictions and allows the developer to keep the new revenues generated by the project. The maximum abatement a developer can receive is 100 percent for 10 years and 50 percent for 15 years. There also is a continuing belief by opponents to the city’s incentive policies that downtown and its environs, including the Crossroads Arts District, have come back to the point that incentives are no longer necessary or can be scaled back significantly. Kemper lives close to the where the BNIM proposal was to have been developed at 16th and Baltimore. “Why are we subsidizing this area; it’s not blighted,” he said. 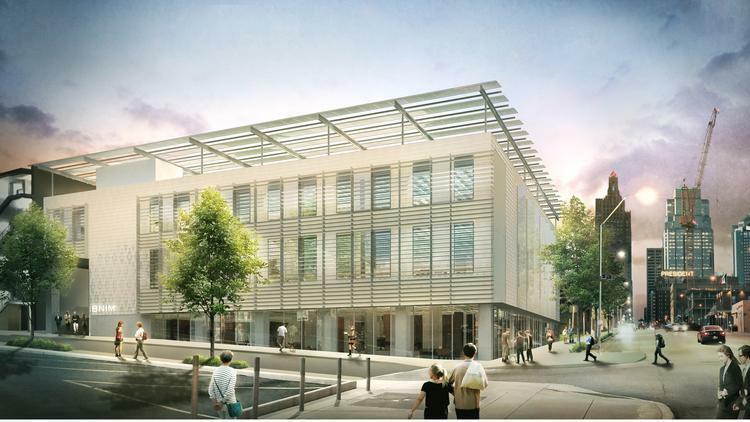 He also said the proposed BNIM redevelopment, which included state-of-the art environmental features, was more costly than many office projects. He noted it would have required rents at $26 per square foot, the level of some of the city’s priciest real estate, to break even. “You have poor Hispanic and black children on the East Side subsidizing the most expensive rent in the city and that’s nuts,” Kemper said. City officials emphasized the incentives that would have gone to help the BNIM project, or any other similar development, would have been from new revenues generated and not reduced school funding. Kemper suggested several reforms to city tax incentive policy: a stricter definition of economic development that emphasizes new jobs; a definition of blight; a shorter duration for the programs, perhaps 10 years; and limiting the maximum abatement to 50 percent as the mayor suggested. As to whether the real estate market is healthy enough downtown to support projects without incentives, Suzie Aron, a property owner and developer in the Crossroads said that while things have improved, the area still needs help. The building housing Mildred's Coffeehouse at 19th and Wyandotte was renovated with the help of tax incentives. “To say a neighborhood like Crossroads doesn’t’ need help anymore indicates you don’t really understand the levels of complexity that developers encounter in our community,” she said. Major infrastructure problems including regular basement flooding that occurs after heavy storms continue to plague the area, she said. Rigby, who currently is using incentives to help redevelop several buildings on East 63rd Street between Brookside and Troost Avenue, pointed to his success redeveloping the Crossroad building that houses Mildred’s Coffeehouse at 1821 Wyandotte St. as an example of how the programs are supposed to work. When he started redeveloping the building in 2003, it was mostly vacant and had been damaged by a fire. At the time, the surrounding Crossroads area was struggling. Rigby received a property tax abatement from the Planned Industrial Expansion Authority, another development agency, to help make the project work financially. He continued paying the existing property tax of $6,800 annually and spent $850,000 on redeveloping the building. Today, it not only houses Mildred’s but several other businesses too. After the first 10 years, the property tax payments also have increased to $15,000 per year. Rigby also noted the tenants have been paying sales taxes and earning taxes throughout the deal. “It’s a win-win,” he said. 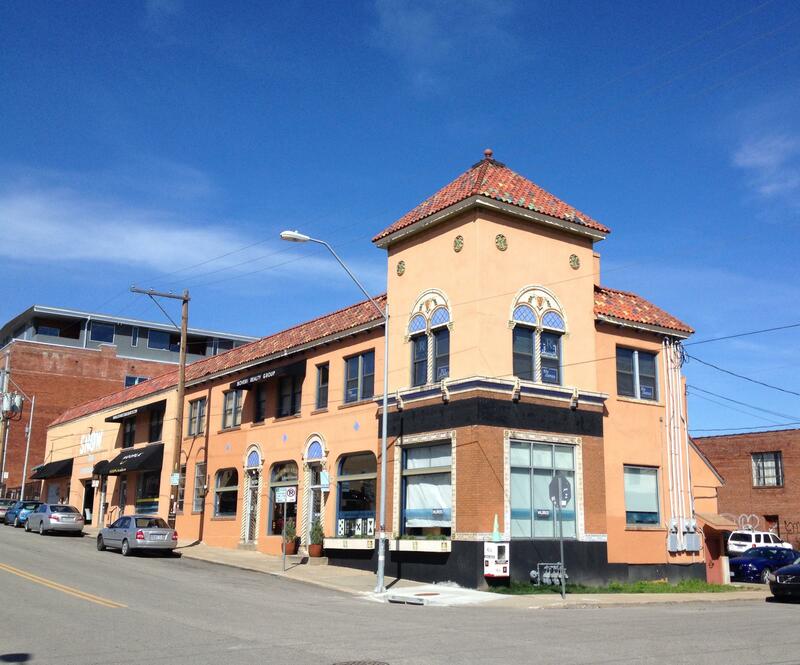 “We have a well-kept building that’s safe and is no longer vacant and rundown. As for the criticism the city should be focusing its use of incentives on spurring development on the East Side and other needy areas of Kansas City outside downtown, officials say it’s not that simple. “You have to have a developer with a project in order to incentivize something,” Wickham said. “We have had a hard time finding developers for the East Side. Langenkamp said encouraging development in neighborhoods overlooked by investment requires more than offering tax incentives. He mentioned assembling land, improving infrastructure and enlisting more private financial support. Wickham cited what she called the “4 E’s” as being important precursors to encouraging investment: employment, efficient government, education and enforcement. “When a neighborhood sees a reduction in crime and increase in educational opportunities and public amenities, it makes those neighborhoods more attractive to development,” she said. Wolfsie agreed that education should be considered an economic development tool, but added the way incentive programs currently work are undermining schools. She continues to support the mayor’s reform proposal of capping property tax abatements at 50 percent instead of the current 100 percent. 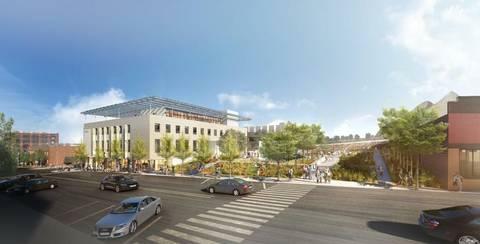 That would allow schools and other taxing jurisdictions to benefit from new development. And Wolfsie’s influence as a school advocate will only be larger soon. She ran unopposed for a seat on the city school board and will take office in April. As for BNIM, McDowell said his firm still needs to identify a new home for its 100 Kansas City employees by the end of this year. Four options are being considered, not all of them in Kansas City, Mo., and a decision is expected soon. One option includes relocating within the current building the firm is located, the former TWA Building at 1735 Baltimore. And whether or not another tax-incentive plan is part of the calculus remains to be seen. 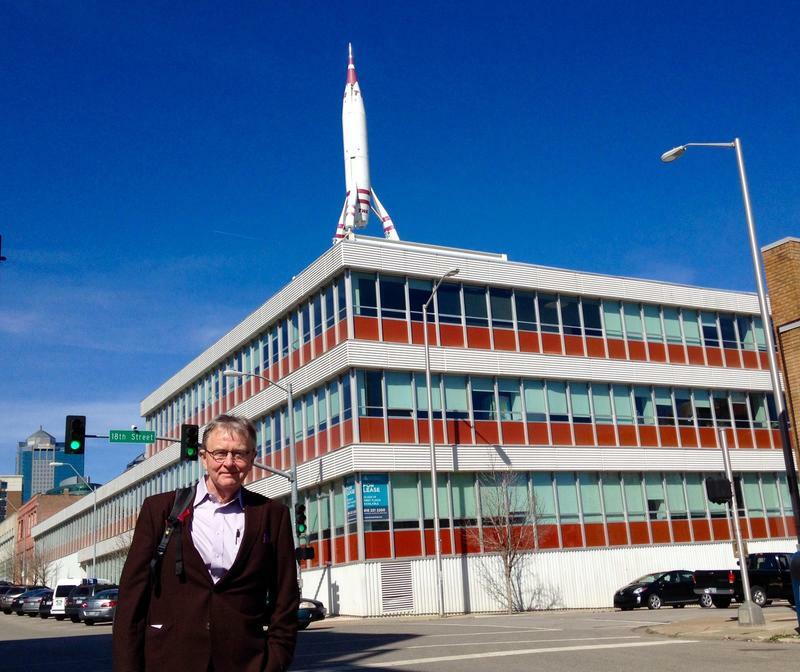 Kevin Collison is a free-lance contributor to KCUR 89.3. You can reach him on Twitter @kckansascity. It was obvious something unusual was going on behind the scenes at Thursday's Legislative Session of the Kansas City City Council. As ordinances were being read, discussed and voted on, council members, particularly Jolie Justus and Katheryn Shields, approached Mayor Sly James for brief but intense off-mic conversations. A pair of resolutions later introduced at the end of the council meeting made it clear what parallel business was transpiring.